As teachers, we are always looking for ways to include all our diverse students into learning experiences. I cannot imagine my own children going to school not knowing the primary language of that culture; sitting there fighting to understand a concept through the media of strange sound symbols. (London #$%%&*! * is %#$%$#R^% down %#$%$#R^% down %#$%$#R^% down). My wife and I, like all teachers, work hard to bring a similar learning experience to all our deserving students. On occasion I’ll get a ping from a company telling us an order of a novel, written in a different language, will be delivered in the next day. All that stated, Google Earth for Web is one resource you can use to include more of your students. Warning…this is a hack. Meaning that this works as of today, but who knows how long in the future. Google Earth for the Web has been translated into many languages. In addition, some of Google’s Voyager stories have been translated into several languages. In general, Google identifies language settings on the user’s machine to feed that Google Earth language version. However, there is a url hack to open other language versions of Google Earth. Again, this works as of the day of this post, but not sure about the future. Anyways, the below urls will take you to that language version of Google Earth. The table also identifies which language version has some, not all, translated Voyager content. Even if Voyager content is not translated, exploring within Earth will have many translated points of interests (POIs). Below the table are a couple of videos showing how you might use this in the classroom. In today’s context it is bit of a challenge writing a post about the authoritative bias of maps. After all, how can maps be both accurate and tendentious. Kuby, Harner, and Gober’s book Human Geography in Action (Amazon Link: http://a.co/2C1hF9s) attributes this authoritative bias to five critical decisions cartographer must make in creating and conveying visual information: maps projections, simplification, map scale, aggregation, and type of map. Below are a couple of ways Google’s Geo tools can be used to demonstrate these choices. As discussed in a previous post (link), Google Maps, Google’s Maps API, and Google’s My Maps uses a Mercator projection. Projections are chosen for a purpose; in this case probably navigation. The easiest way to demonstrate the impact of this choice simply draw the ring around Greenland in My Maps, or geteach.com, and drag the polygon to the equator. I normally show this in class then give the student 20 – 30 mins to draw and drag polygons. Students tend to want to know the size of Russia and like to drag the continent of Africa north towards the pole. Being from Texas, I often ask students to grab Alaska and bring it south over the continental US for a bit of humbling. Kuby et al. like to use subway maps to demonstrate the idea of simplification and its benefit to the user. Below are London’s transit tubes on Google Maps and the other is London’s transit tube map. Explore and follow routes through London by zooming in/out and dragging the two maps below. Imagine if you where actually in London. Which map is more useful if you need to use this transit system? Which map is more accurate? The zoom level of a map corresponds with the detail of a map. Large scale map views a smaller area with more detail. Small scale maps view a large area with less detail. Which maps below gives you more detail of Texas’ Capitol? Aggregation is the size of geographic units in visualized in the map. The video below shows how level of aggregation tells a different story for Pennsylvania’s 2016 election. The end of the story is the same but rescaling the data tells a richer story. Be it reference or thematic maps, cartographers still must make decisions on what to show, omit, or emphases. Reference maps: See what Google Maps can do depending on your search location setting. If you do this make sure you set your location setting back. Kuby, Harner, and Gober’s book Human Geography in Action (Amazon Link: http://a.co/2C1hF9s) is much richer than this simple post. I highly recommend this text for anyone, or class, that wants to deepen their knowledge of geography. The intent of this post is to show the purposeful inaccuracy of maps and the importance of these inaccuracies. While maps, and many other forms of information, can be misleading, it is not always for nefarious reasons. At some point, the read/user has assess the value and limitations of their sources. The primary purpose of a map is often to transfer information more efficiently than a textual source. After all, as Harm De Blij wrote, “If a picture is worth a thousand words, a map is worth a million.” Try it yourself…describe the boundaries of all the countries in the world. Don’t forget the disputed ones. 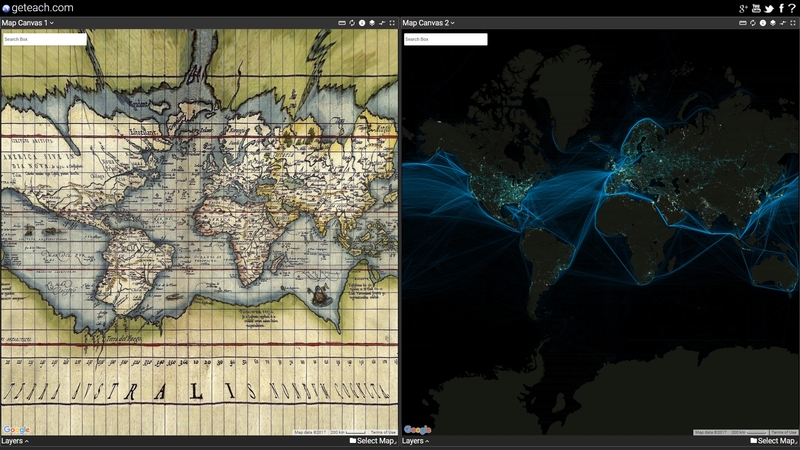 The choices made by cartographers give maps both value and limitations. Kuby, Michael, John Harner, and Patricia Gober. Human Geography in Action. 6th ed. Hoboken, NJ: John Wiley and Sons, 2013. One of the geography courses I am fortunate to teach uses a blended physical and human geography framework. The first several weeks of the year, the course entails why geography is important along with physical Earth observations and understandings. The first physical Earth lessons deal with landforms and the inner Earth/ outer Earth processes that form them. This June I converted many of the files from geteach.com to kml/Google Earth. Below are the maps sets used in class to visualize these Earth processes…+ a bonus Google Earth/kml file to help teach and/or review plate tectonics. The pedagogical formula follows the working definition of geography taught to me from Brock Brown PhD. Starting questions: what, when, where? Followed with: how and why? Lastly: what if, what next, what about me, what about others, what should we do? This summer, probably August, I will be turning off my tour creator for Google Earth web page. There are several reasons, but mainly Google’s Tour Builder can do almost everything I want, and its creations can be opened directly into Google Earth for Chrome. 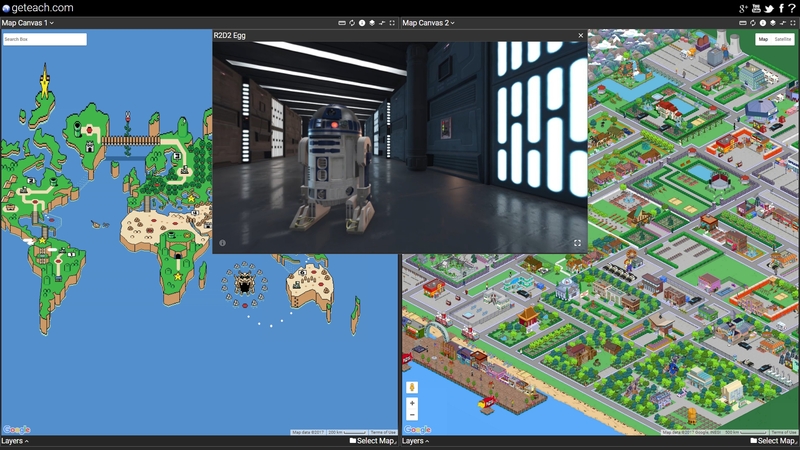 The only thing left for the Google Earth team to do is put these creation tools in Google Earth. A teacher can dream. The image at the top of this post was my brainstorm for the tour creator. It was sketched out at the Macaroni Grill in Chicago’s O’Hare airport. It came about because some colleagues saw I was able to create voyager like stories and they told me they wanted an easy way to create these stories for this “new” Google Earth. I also thought students would enjoy creating these stories and understood that Google Earth for Chrome/Mobile would not launch with creation tools. I initially helped a friend develop a Google Sheets creator; where students could input latitude, longitudes, elevations, tilts, and heading. Then students could input images and descriptions. As that project was coming to an end I spent a week developing the Maps API version that thousands of students (I assume they were students; don’t keep track of that stuff) have accessed. Basically, creating the big paper above. 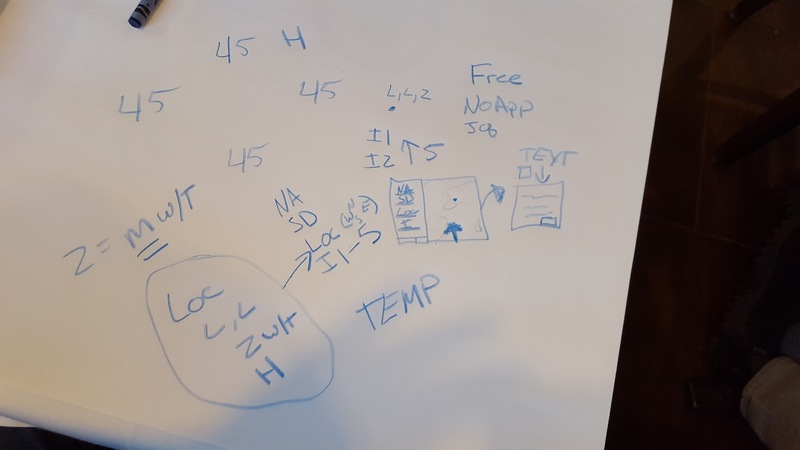 I felt it would be easier for students to have spatial context when selecting their location and didn’t want them going from one site to another to put in location data. Anyways, I had intentions to continue this project, but in September 2017(?) Google launched their Open in Google Earth link from their Tour Builder. From Tour Builder students can insert images, YouTubes, numerous icons, save, etc. It would have taken a month for me to get all this done, and that would be without my day job. I didn’t, and still don’t, have a magic crystal ball, but it was not too difficult to read this future. I feel it would be better for teachers and students to use Google’s Tour Builder for classroom instruction. Students can just do more. All that stated, it was a fun little project and I have many more. I still maintain my site, geteach.com, and have been developing numerous Google Earth for Chrome/Mobile (kml) files for a variety of classrooms. Thanks to everyone who continues to use and support anything created from from this little house in Austin. As mentioned in several previous posts, leaning to code kml was my gateway into programming. While I admit my code often looks like a three-year old’s coloring book, the amount of growth and learning over the past five years has been such an enjoyable and relaxing experience. Initially geteach.com was designed and created to allow students to more efficiently explore one, or two, spatial distributions (perspectives) of their world. There were many other factors that went through my mind before creating geteach.com from wanting a hobby that helped me relax and think, to the annoyance of “education/technology” companies charging so much money for something two people and several pots of coffee could create. I am so pleased that educators around the world can use geteach.com, along with other projects, in their classroom. The one thought that never crossed my mind when creating these geo-tools was the amount of teacher cred I receive from students. My first experience with this teacher cred was five years ago while teaching summer school. During this summer session, I came across many reluctant learners, but one student, in particular, was classic John Bender from Breakfast Club. About four days into summer school I was demonstrating geteach.com and “John” blurted out, “you created this?” John was, in business management terms, a first follower. From that point on this room of reluctant learners pivoted into “just enough” learners. For the past week and half, I might have been viewed by many as an absent-minded teacher who can’t take roll, loved to talk about geography as a perspective that transfers across disciplines, and an idealist of lifelong learning. Once students figure out I learned to code from spatial thinking these qualities, minus the taking roll part, are no longer just words, but true beliefs and core to my teaching and learning philosophy. Learning to code and developing the language of technology though a spatial lens has given me a window of teacher cred to build those needed relationships to last at least the next 180 days, but hopefully beyond.